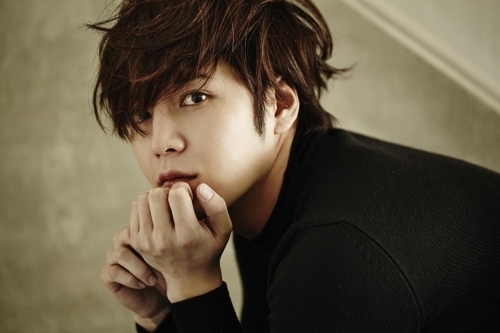 Diagnosed with bipolar disorder, actor Jang Keun-suk will alternatively serve his military duty as a public service worker. The actor will enlist on July 16, his agency Tree J announced Friday. According to the agency, Jang was diagnosed with bipolar disorder in 2011 at a university hospital. He was later deemed to be unfit for active duty through multiple health examinations carried out by the Military Manpower Administration. “Jang tried his best to overcome bipolar disorder, working on finding his balance, even suffering from aftereffects. We are sorry (that he hasn’t) reached a satisfactory result,” the announcement read. It continued that though his health condition is “private information,” Jang wanted to share his situation with the public, as he has grown as an actor thanks to fans leading him for a long time. Jang addressed his fans directly via his official website on the same day. The news came as a surprise, as the agency had denied a report regarding the matter just on Monday. One local media outlet reported that the actor was scheduled to join the Army on July 19, and that he would serve as a public service worker, having received a level four in the physical examination. Jang’s agency, however, denied the report at the time, saying the enlistment date had not even been set.